CKUA is a donor-supported arts organization that inspires and connects through the power of music, arts, culture and story. With a focus on musical discovery, we showcase the best creative work from Alberta and beyond and deliver it on-air, online and in-person. Our talented roster of hosts and producers are gifted guides to the creative world, drawing from deep knowledge, research and personal passion to give our audience the richest possible experience. Each host has free rein to curate their playlists, unencumbered by genre, decade or ‘hit’ lists. Often, they even draw from their own personal collections or CKUA’s legendary library which holds 140 years of recorded music. From jazz and blues to celtic and bluegrass, CKUA specialty shows dive deep into specific genres. Our eclectic programs give you nothing but the best of…nearly everything. Who makes CKUA possible? You do, for a start. But you don’t have to do it alone. You’re joined by a team of 35+ hosts, 40+ support staff and 500+ volunteers. And of course, our 12,000 donors, who provide 60 per cent of CKUA’s funding. If you haven’t yet joined our dedicated team of donors, we encourage you to become a donor. 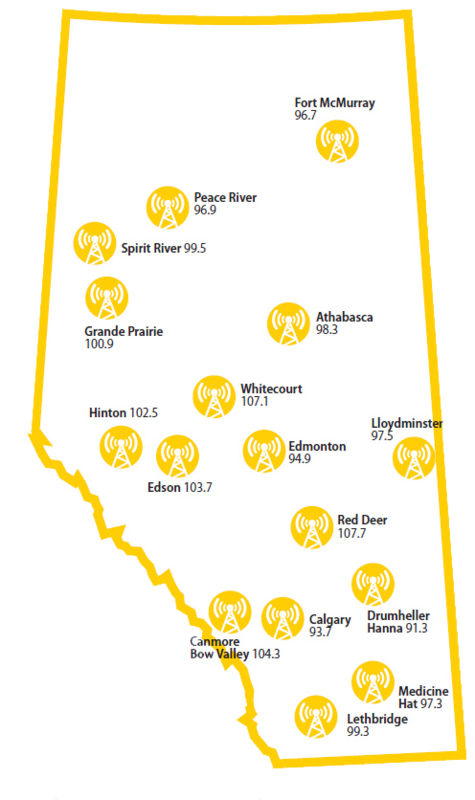 CKUA connects Albertans through 16 FM frequencies across the province. Want to connect with CKUA? Discover the fascinating people and artifacts of CKUA's 90 year history.